DEATH WATCH: A Media-Assisted Demise Seen Through Electronic Eyes – Schlockmania! It’s no big deal to criticize reality television today. Everyone from the major studios to the chintziest b-movies have used this phenomenon as both punchline and cultural whipping boy since shows like The Real World and Survivor began changing television programming trends for the worse. However, to predict this trend was something else altogether. A handful of movies in the late 1970’s and early 1980’s were far-thinking enough to do so, including such enduring gems as Real Life and Videodrome. Death Watch represents a European entry in this exclusive club – and the picture it presents of our tele-visual future is intriguing but flawed in its execution. Death Watch was adapted from a novel by David Compton and was the first English-language feature for Bertrand Tavernier, a French director who go on to make the well-regarded jazz film Round Midnight. The premise revolves around the machinations of a network to create the pioneering television show of the title. 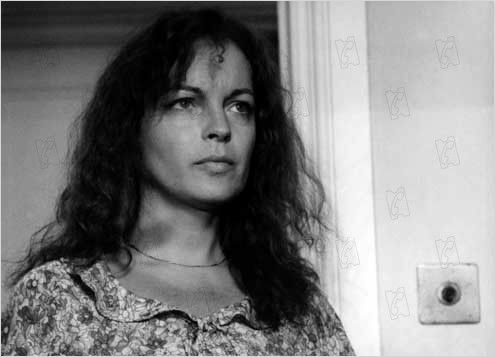 Vincent (Harry Dean Stanton) is the producer/puppetmaster behind the scenes: he corners terminally ill writer Katherine (Romy Schneider) and offers her money for the television rights to the last two months of her life. Katherine initially refuses but Vincent is already secretly filming her life through revolutionary means: he is using (Roddy), a network employee who has had radical surgery to transform his eyes and brain into a “camera” that records anything he sees and beams it back to the network for recording/editing purposes. Roddy manages to track down Katherine when she tries to elude the network, following then befriending her as she journeys cross-country. The results become a highly successful show but they take their toll on both Katherine and Roddy, leading to a finale that offers both rebellious catharsis and tragic consequences for its participants. 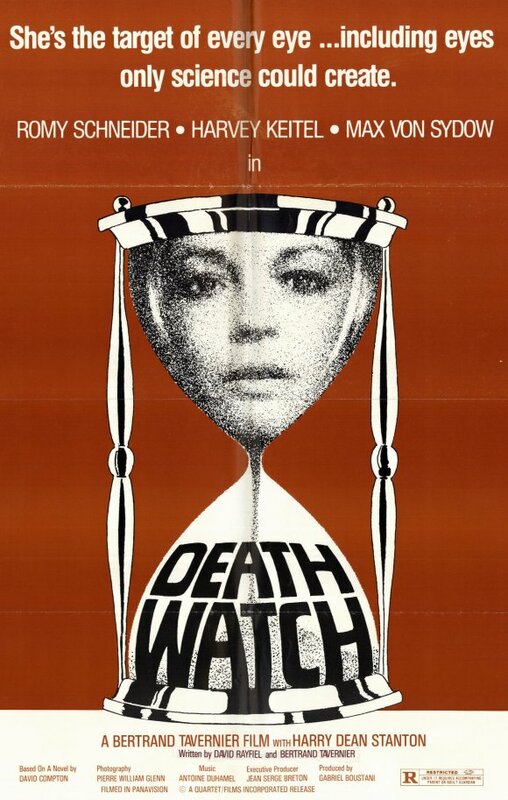 As the above synopsis suggests, Death Watch is packed with ideas that were undoubtedly heady for the time (it was made in 1979) and remain compelling today. Vincent’s pursuit of Katherine and the “broadcast rights” to her life predict not only the invasive nature of modern media but how thin the line between news culture and tabloid culture has become in a world that expects 24-hour access to its noteworthy figures. The character of Roddy offers a venue for equally arresting themes, particularly how the pursuit of media goals can dehumanize the people attempt to create news. Unfortunately, Death Watch places these fascinating ideas in a framework that is unwieldy. Tavernier co-wrote the script with American writer David Rayfiel and the narrative they fashioned has strong characterizations but has a tendency to get lost in philosophical digressions when it should be ratcheting up the tension of its storyline. As a result, the film has a stop/start rhythm that gets frustrating in spots, particularly during its third act. The ending is also a bit sketchy and rushed, failing to serve up the kind of multi-layered finale that a film so full of fresh ideas deserves. That said, Death Watch is worth a view for the patient viewer. Tavernier gives the film a lush visual style that deploys dramatic dolly shots to set up and complete its scenes. He also makes excellent use of the crumbling, post-industrial landscape of Glasgow, Scotland, creating a backdrop that is both grimy and striking for his tale of humanity’s media-assisted breakdown. Tavernier has also populated his cast with a strong, eclectic group of actors that give their all to the film’s dark vision of the future. 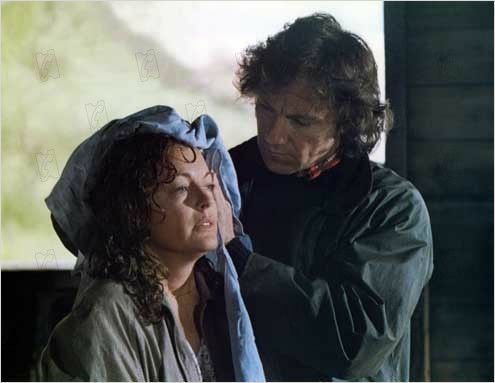 Schneider leads the way with her portrayal of Katherine, creating a character whose search for meaning in an emotionally-blunted world is quite poignant at times. 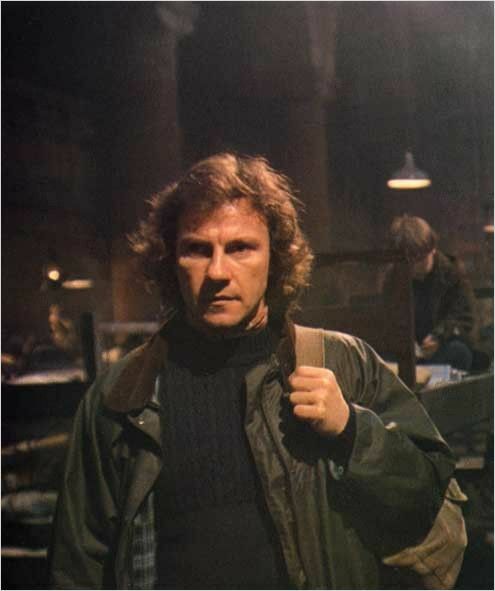 Keitel creates a character who is a charming hustler at first but gradually peels away the layers to reveal someone who is all too aware of his role in society’s demise. Elsewhere, Stanton plays his media-manipulator archetype with subtlety and sly wit while Max Von Sydow turns up near the end for a small but pivotal role. In short, Death Watch offers a vision of our future that is flawed yet visionary. Despite its digressions, it’s packed with ideas that remain worth pondering and the visuals and performances keep it afloat.